Melville’s Philosophies, Ed. by Branka Arsic and K. L. Evans, Bloomsbury Academic, 2017. Melville's Philosophies departs from a long tradition of critical assessments of Melville that dismissed his philosophical capacities as ingenious but muddled. Its contributors do not apply philosophy to Melville in order to detect just how much of it he knew or understood. To the contrary, they try to hear the philosophical arguments themselves-often very strange and quite radical-that Melville never stopped articulating and reformulating. What emerges is a Melville who is materialistically oriented in a radical way, a Melville who thinks about life forms not just in the context of contemporary sciences but also ontologically. Melville's Philosophies recovers a Melville who is a thinker of great caliber, which means obliquely but dramatically reversing the way the critical tradition has characterized his ideas. 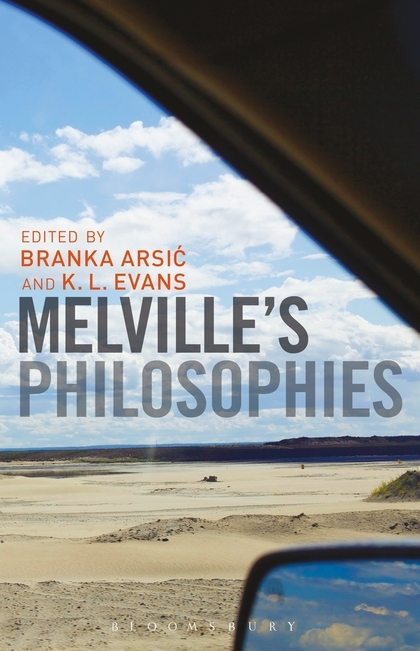 Finally, as a result of the readings collected here, Melville emerges as a very relevant thinker for contemporary philosophical concerns, such as the materialist turn, climate change, and post-humanism. 5. The Lawyer's Tale: Preference, Responsibility, and Personhood in Melville's "Story of Wall-street"